On July 24, SFG went to Tapas Y Tintos located on Espanola Way in Miami Beach to experience their weekly Flamenco show and Spanish dinner. 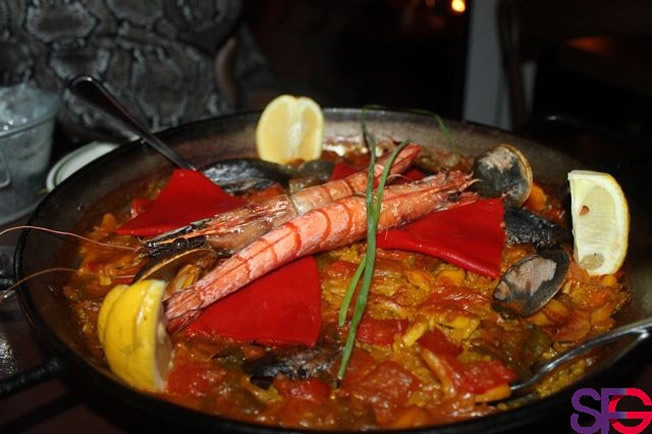 The Spanish tapas bar has been bringing its Spanish inspired atmosphere t0 the historic street since 1981. From ceiling to floor, the walls are covered with authentic photographs and décor of Spanish novelties such as Spanish Matador costumes, Spanish fans, flamenco dancers and Spain’s beloved soccer team.